In today’s digital world, Google is the premier destination to find just about anything on the world wide web. But only a few of us know about the genesis of Google and the people behind this 21st-century miracle. The very popular search engine called Google was invented by computer scientists Larry Page and Sergey Brin. Let us begin the journey of Google by how the company got its name. Well, it’s true that Google co-founders are certainly fans of wordplay. The name “Google” was coined by its masters after a googol. It was the name of the number 1 followed by 100 zeros. It represents the immense amount of information that a search engine has to analyze through. The nomenclature for their company name is both significant and goofy at the same time. Back in 1996, the duo experimented with lots of nerdy names. Initially, they came with the name “BackRub” because their algorithm analyzed all the back-links to examine the importance of a website. Later on, they realized that the name BackRub was just not good enough. Brin and Page wanted to come up with a name that would induce the data they were indexing. In a brainstorming session, a graduate student at Stanford named Sean Anderson came up with the name “googolplex”. Further, it was reduced to “googol” by Page. While checking for the domain name Sean Anderson accidentally searched for “google.com” instead of “googol.com.” And, the name instantly clicked Page and registered the domain name google.com on September 15, 1997. Recently Google announced it would change its name to Alphabet which would be a holding company for Google and all its other businesses like YouTube, Android, etc. The step was taken by the company considering the investors so that they can have clarity separating the riskier segment of Google (moonshots like self-driving cars) from the strengths of Google like Search and Ads. From BackRub to Google to Alphabet- What’s Next! Someone rightly said, “Happy endings come after a story with lots of ups and downs”. The masterminds behind the epic success of Google were “Larry Page and Sergey Brin”. They fought through some bad days to earn the best days of their life. But how did it all began? The Google story began in the summer of 1995 at Stanford University when Sergey Brin met Larry Page. Sergey Brin was a second-year grad student in the computer science department at Stanford University. During this time, Brin was still deciding whether to attend Stanford for grad school. Brin was involved in showing recruits the campus and leading a tour of nearby San Francisco. It was during that time Larry Page, who was an engineering major, ended up in Brin’s group. It was hardly a love at first sight. Initially, Page and Brin found each other obnoxious and had a kind of bantering thing going but as iron sharpens iron, these two geniuses were evidently drawn together and came up with the most thriving search engine of the 21st century eventually. Larry Page met a lot of brilliant people during his journey. He selected human-computer interaction pioneer Terry Winograd to be his advisor. At this time he was searching for his doctoral thesis which was an important decision for him. His father who himself was a computer science engineer at Michigan State told Page that a thesis can frame one’s entire career. He took this valuable advice from his father and rejected more than 10 intriguing ideas. In the end, he was inclined towards what drew him the most i.e. World Wide Web. During this time, a lot of Stanford alumni were making millions through internet companies. But for Page, it was just the start of his quest. During this time Page wasn’t looking for better way to search the web. Page always liked to stick with the basics. The reason for his quest was neither money nor a successful business model. Instead, it was a genuine interest in the web for its mathematical characteristics. He saw each computer as a node and every link on the web page as a connection between nodes. “Computer scientists love graphs” and World Wide Web is the largest graph to be ever created is what Page believed at that time. So he started digging deeper by inquiring graduate students and started contemplating about the link structures of the Web. During the time of his research, he came up with many conclusions. He found out that it was insignificant to follow links from one page to another. He discovered that it was important to find pages which were linking back to the website and find such backlinks, a project which he called BackRub. To understand it more, let’s take an example of Academic papers which are constructed on the principles of citations. These academic papers are examined not only on the basis of original ideas but also on the numbers of papers which they cite, the quality of these citations and the papers which cite them back. A citation is a needle which threads all these efforts together i.e. referring to other people’s work in order to build up our own. This fundamental realization that the World Wide Web was based on the premise of citation made him eager to find a method to count and qualify each backlink on the web. Many Obstacles but No Fullstop! There were a lot of obstacles which he had to face during his journey. One problem led to another but it didn’t stop Page from introducing the ultimate search engine of the 21st century. At the time of BackRub, there were an estimated 10 million documents and a massive number of links among them. The computing resources to crawl such a massive number of websites were far beyond his reach at that time. After a lot of brainstorming, Page finally started building out his crawlers. A lot of research groups were talking about this exciting new project at that time as it involved the Web which represents a pool of human knowledge. Seeing the complexity and the challenges of the idea lured Sergey Brin to the job. Brin was a polymath who wasn’t settling for a thesis topic during this time and found the premise of BackRub captivating enough. Crawling the whole Web to find the entirety of its connections is a noteworthy undertaking, yet crawling was not where BackRub’s actual development lay. Page was actually mindful of the ideas of ranking in scholarly publishing, and he speculated that the structure of the Web’s diagram would uncover who was connecting to whom, but rather more basic, the significance of who connected to whom. Propelled by citation analysis, Page understood that a crude tally of connections would be helpful for that page’s rank. He likewise observed that each connection required its own particular positioning. Furthermore, he found that you do not just need to check a specific page’s connections, you likewise need to tally the other connections appended to the page’s connections. The math gets convoluted rather rapidly. Luckily, Page had Brin to help him to get through all the mathematical complexities during that time. Brin was the son of NASA scientist who was also a math professor at the University Of Maryland. He was born in Russia but at the age of 6, his family moved to the US. Brin was recognized as a math genius since the time of his school days. After his graduation, he enrolled himself at Stanford University. During this time Brin goofed around a bit and signed up for different non-academic classes like sailing, swimming, scuba diving. The center of his attention was actually on interesting projects instead of actual coursework. Page and Brin started working from a dorm room on a search engine that used links to determine the importance of individual pages on the World Wide Web. Furthermore, they created a ranking system that would recompense important source links and penalized the links which did not come from the source. For example, a lot of sites link to IMDB.com. All these links can range from a business partner from the entertainment industry to a teenager who loves watching movies and posting reviews on his website. To a human observer, the business partner is a more important link in terms of IMDB’s place in the world. To solve this paradox, Page and Brin came up an algorithm dubbed PageRank. With this new algorithm, they were able to calculate the number of links to a particular website and the number of links into each of the linking website almost similar to citation counting approach. For instance, in the example above, let’s assume that only a few websites were linked to the teenager’s website and these links were relatively weak. By contrast, thousands of websites are linked to IMDB which is further connected to thousands of websites linking to them. With their new algorithm, they were able to sort the teenager’s website as less important than any other website linking to IMDB which had higher quality links. This was a major breakthrough for Page and Brin as they were able to list more popular websites to the top of their annotation list and less popular websites hew to the bottom. With this major breakthrough, they realized that their data can have implications for Internet search. With Backrub, which almost worked liked a search engine as it gave the list of backlinks, and their ranking algorithm, they were able to sort these links by importance. Page and Brin observed that all the existing search engines at that time like Alta Vista and Excite were focusing only on text and ignoring the other vital signals. So they decided to carry out a test to check whether it worked well in search applications. With Backrub search tool, they searched only the words in the page title and applied Page Rank to sort the results by relevance. The results of this test were absolutely far superior to any other existing search engine at that time. Page and Brin knew that they were able to rank on the basis of keywords and they were onto something big. Page and Brin released the first version of Google on the Stanford Website in August 1996. After its release, Google became instant hit inside Stanford. Inspired by the initial success of their search engine, Brin and Page began to upgrade their services. They added a full-text search and started indexing more pages. This was the beginning of their extraordinary journey when they discovered the tremendous power of their search engine. By this point, they figured that they will require an exceptional amount of computing resources. But, for that, they didn’t even have the money. Page and Brin were supercharged now with their small success and wanted to move on a large scale. To bring Google into existence, they borrowed a hard drive from the network lab, a CPU and started using Page’s dorm room as a machine lab. Page’s room was occupied with all the equipment and moved on to Brin’s dorm room into their office and programming center. The project grew into something of a legend within the computer science department. The project was consuming nearly half of Stanford’s network bandwidth. And, it was pretty remarkable given the fact that Stanford was among the best-networked foundations on the planet. There were times when their project would bring down Stanford’s Internet connection. As Brin and Page kept testing, BackRub and its Google usage were creating buzz, both on the Stanford grounds and inside the secluded universe of academic web research. One individual, who had known about Page and Brin’s work, was Cornell educator Jon Kleinberg. At that point, he was exploring bibliometrics and pursuit advancements at IBM’s Almaden focus in San Jose. Kleinberg’s hubs-and-authorities way to deal with positioning the Web was maybe the second-most-celebrated way to search after PageRank. In the mid-year of 1997, Kleinberg met Page at Stanford to share any useful info. Kleinberg had finished an early draft of his fundamental paper, “Definitive Sources,” and Page demonstrated to him an early working form of Google. Kleinberg urged Page to distribute an academic paper on PageRank. At this point of time, Page and Brin weren’t even sure that they want to go through the experience of starting and running a company. During Page’s first year at Stanford, his father died, and companions review that Page saw completing his Ph.D. as something like a tribute to him. Given his own particular scholarly childhood, Brin, as well, was hesitant to leave the program. Over the next few years, Google caught the attention of not only the academic community but Silicon Valley investors as well expressed their interest in Google. In August 1998, Sun co-founder Andy Bechtolsheim issued Larry and Sergey a check of $100,000, and Google Inc. was officially born. With this investment, the newly incorporated team made the upgrade from the dorms to their first office: a garage in suburban Menlo Park, California, owned by Susan Wojcicki Clunky desktop computers, a ping pong table, and bright blue carpet set the scene for those early days and late nights. On September 4th, 1998, in Menlo Park, California, Larry Page and Sergey Brin, two Ph.D. students came together and gave the world the largest influencer in global marketing. Their pet project was finally in front of the masses. Moreover, they were able to categorize, index and open up the WWW in a way that no one has done before. Google authority over the internet became highly unmatched. Google single-handedly revolutionized search marketing. While Brin and Page were busy in unleashing the power of World Wide Web, a new industry of online commerce started to emerge. With the birth of online commerce, a new digital age was going to transform the world of marketing. From Digital to social media marketing, online commerce was ready to take on the business world. Brin and Page were all set to bring the information to the people at lightning fast speed and they’ve succeeded so far. There were many powerful reactions from people with the new evolving digital landscape. All the major businesses were transforming and preparing themselves for the evolving digital landscape. Marketers were seeing a shift in customer’s decision-making process with the introduction of ideas such as Search Engine Optimisation and Social Media. The trend of online business was getting viral and businesses were coming to a realization that they need to satisfy every customer. Well, it’s true that every industry has to adapt to the new globalized market and changing competition forces. Modern businesses were transforming themselves with the introduction of new digital marketing concepts and ideas. A whole new market was available to innovators and entrepreneurs with amazing opportunities to tap into. Marketers started focusing on the authorities in this whole new digital landscape to stay ahead of the game for guidance. People were developing new techniques for outwitting opponents online. With all the new updates by the search engines, companies started adapting to the new search marketing strategies. A whole new game of search engine optimization was being played by all the major corporations and the rules of this game were always changing. Initially, the search engine results were based on keywords and backlinks but Google wasn’t satisfied with a whole new industry which was using paid backlinks and stuffing keywords in order to run higher without improving their quality. The Priority of Google has always been to provide the most relevant information based on your search query and watch the magic happening. The algorithm took care of the order and authority of the search results. A lot of companies were trying to game the ranking system and in no time, Google started hitting back at them. Google started releasing updates in order to stop people from exploiting any loopholes which would help them rank higher to someone with more relevant information. For this, Google started to eliminate misleading results from its page. The algorithm was modified and 100’s of inputs were used to identify the criteria which will give them the exact result which the user wants. This is what separated Google from all the other search engines who were trying to make it big in the search engine industry. Google introduced Adwords to its customers if they wanted paid space in their index. It was in this reality that Google thrived as a company by taking all the efforts to satisfy their customers, thus making profits from advertising. To look at the future of SEO, all we need to do is look at the trends in the past. Search engines have evolved and continue to evolve in this ever-changing digital landscape. Whatever information we want, it is at the tip of our hands whether we need to find “best restaurants” or information about the life of Albert Einstein. From Google to Siri to Wolfram Alpha, intelligent search is designed to get what you want and is displayed indigestible bits of information. In this evolving landscape, the mission of Larry Page and Sergey Brin still remains the same. Marketers are facing new challenges of the social, local and mobile audience. Regardless the fundamental concepts of value creation and delivery still remain the same. Google has always stayed true to its core ideals which ought to be the focus of their every business regardless of evolution in the digital landscape. Moreover, Google still believes that magic lies in the ability to connect value to customers. Google never compromise on its fundamental concepts! The fundamental concepts of value, delivery, and relevancy still remain the same despite the advancement of tools to reach there. New technologies are emerging and it becomes our duty to compete and adapt to these changes in a fluid manner. The “best practice” is the one that works systematically and repeatedly. “One piece of advice I give to SEO masters is, don’t chase after Google’s algorithm, chase after your best interpretation of what users want because that’s what Google’s chasing after.” –Matt Cutts (head of Google’s webspam team). Trivia: Did you know that Google derives 96 percent of its revenue from advertising, has a video platform that is in agreement with the National Basketball Association, a movie studio, celebrities, and is developing a subscription service that would be plug-and-play for publishers and consumers the world over? For our every little query, Google has become an answer. Whether it is about finding a recipe, or anything, all the results are just a click away from us. Apart from being a wonder-wand for solving problems, Google has now taken up to flourish the business world with its new launches. The technologies focus on the various needs and requirements of the business industry. The motive of introducing these technologies is to make the time count and simplify the work process. Google Neural Machine Translation (GNMT): Designed to solve the problem of language translation. Google Groups: A collective space for online discussions on any topic. The Google Domains: An effective and convenient domain registry service powered by Google. Google Cloud Platform: It is one of the leading cloud computing platforms in the existing market. It has competitors like AWS and Microsoft Azure. The Google Alerts: A simple and efficient way to set up automatically delivery notification. It notifies you about any desired topics within any given time frame. Google My Business: An easy-to-use offering to help business owners. It increases their visibility within Google search, Google Maps, and Google+. Google Adwords: A paid marketing service which allows businesses to display an advertisement to web users who Google a keyword which is pre-selected by advertisers. For most of us, Google is all about ranking pages and probably the best search engine. Google never reveals that it is a media company and it organizes & manages content. The internet giant stays away from even producing content, at least that’s what they say. In recent times, it’s also beginning to show strain as Google moves into new dimension altogether. Google keeps launching new products for its consumers in this highly evolving digital landscape. In recent times, Google launched a subscription service called One Pass. It lets the consumers buy professionally produced news and information from all around the web. There has been increasing number of media consuming devices which feature their software called Honeycomb which will hit the market in coming times to make the information more attractive and mobile. Youtube- A Product of Google! YouTube is another Google product, which is a platform that is more like a network for a post-broadcast world is another proof of Google’s growing media proficiency. The online video behemoth has become the world’s third most-visited website, after Google and Facebook. According to Jawed Karim, who co-founded YouTube, he and two of his colleagues Chad Hurley and Steve Chen, launched the site after becoming frustrated that they couldn’t find footage of the 2004 Boxing Day tsunami and Janet Jackson’s “wardrobe malfunction” at the Super Bowl the same year. The homepage of the website which used to be a user-generated free for all website has transformed into an alternative for cable in this digital age. YouTube now has a hierarchy of channels ranging from “Entertainment,” “News and Politics” “Sports”. And, lots more is an ultimate destination for online video content. The popularity of YouTube has grown immensely. In fact, it’s giving a home to channels which couldn’t find a place in the cable universe. Google is using new strategies to grow its network in long-term. And, it’s doing this by collaborating with big names in the field of movies and sports. Recently Google made a deal with N.B.A. and the National Hockey League in sports. Also, Google has made deals with big movie production. For example, Lionsgate to display clips from their upcoming movies which show up on YouTube as an advertisement. According to a report, Google has a budget of 100 million dollars set aside for popular celebrities. It programs their channels on YouTube in order to increase the amount of high profile content on their website. Google has been spending a lot of resources to promote traditional media businesses. Google doesn’t want its crawlers to go through the machine-generated information and amateur content. To address the issue of link-bait generic content, Google has tweaked its search algorithm to promote new, real, trusted content. Moreover, Google has successfully identified the Web-advertising model. “Google depends on the high-quality content created by wonderful Web sites around the world. And, we do have a responsibility to encourage a healthy Web ecosystem,” the company said. “They are moving down a road where they are now thinking of the motivation of people who produce content in addition to the content itself,”- Jonathan Glick, chief executive of Sulia, a media company that filters and publishes real-time content from Twitter. There has been a great shift in the values from media companies which produced the content. Moreover, companies like Google, Netflix are coming up innovative, convenient and creative ways. This will help them to distribute the content of these media companies. “We are in the business of media distribution, but I don’t think that we would be very good at media creation. It’s one thing that we have astutely avoided in the last 12 years, the media business is a tough business.” Hal Varian, chief economist at Google. Google shared its vision for future during its annual developer conference, Google I/O. The focus of the conference was primarily on strengthening its grasp on different aspects of people’s life. The conference had a showcase of features intended to make people more connected. The company also gave a glimpse of its plan related to artificial intelligence technology. “We focus on our core mission of organizing the world’s information for everyone and approach this by applying deep computer science and technical insights to solve problems at scale,” said CEO Sundar Pichai. Google announced that the company is shifting from a mobile first to an AI-first approach. All the new Google products will have AI at its core. Google Lens is another product which has vision-based computing capabilities. Google lens has the power to understand what it is looking at. Furthermore, Lens will be integrated with Google assistant and photos app. The lens is Google’s answer to Facebook’s augmented reality Camera Effects platform. Google Assistant is expected to become more conversational and better response. Furthermore, with Google lens, Google Assistant will be able to understand conversations about what we see. “It comes so naturally to humans, and now Google is getting really good at conversations too,” -Huffman. Google Home which is the voice-activated smart speaker will now provide proactive assistance. So you can get the heads up about if the traffic is particularly heavy before leaving your home. Also, Hands-free calls are coming to the Google Home speaker. Google Assistant is much smarter than Apple’s Siri. Google has gathered a lot more personal data than Apple. After the recent announcement at Apple’s keynote, Google Assistant will be available on iPhone. Google has plans to replace Siri with growing number of frustrated Siri users. The Google has launched “super chat”. Here, an audience member can pay to have their comment featured and in turn, donate money to YouTubers. Google for jobs is a new search function which will make it easier for people to find employment. “We want to better connect employers and job seekers through Google for Jobs,” said Pichai. During the I/O keynote, Pichai stated that seven of Google’s products had more than a billion monthly users. For example, Google search, Android, Chrome, Maps, YouTube, Google Play and Gmail. Google is making plans to attract the next billion customers by focusing on lower income countries. These are the countries which have just started to come online through mobile devices. To fulfill this dream, Google came up with Android Go. This app will come up in the latest version of Google’s mobile operating system. The USP of Android Go is that it uses fewer data and loads apps more quickly despite poor signal. There has been great hype around virtual reality and augmented reality in recent times. All the major corporations are focusing on these technologies of future. Google focuses more on the immediate practical applications. Google has been developing DayDream headsets made in collaboration with HTC and Lenovo which uses a smartphone as the screen. With augmented reality, Google described a “visual positioning system” similar to GPS but with accuracy to the level of centimetres. With the creation of Google, Larry and Brin have changed the world and the way we work. They have made our life so easy. Google remembers everything for us and we don’t need to memorize anything. 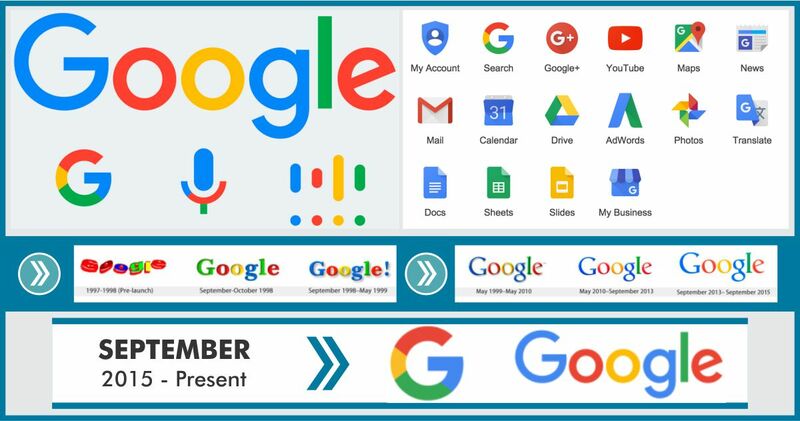 Google has transformed itself in many ways. It became Alphabet one year ago to help all of its businesses operate more efficiently. Google blew up its entire corporate structure to form a new parent company considering the investors. So that they can have clarity separating the riskier segment of Google from the strengths of Google like Search and Ads. Now, Alphabet is a massive corporation – ranking in size behind Apple, Samsung, and Microsoft. In fact, it that encompasses everything from internet-beaming hot air balloons to self-driving cars to Google Cloud.